Could a dash-cam help your accident claim? One of the key factors in a car accident claim is being able to prove who was at fault for the accident. One of the first questions you will be asked when seeking advice about a road accident is ‘were there any witnesses to the accident?’. Accident circumstances are often straight forward and one or other of the drivers accepts that they are at fault. In a simple case, this could be a rear-end shunt where the driver behind admits fault straight away. In such cases, the lack of a witness is not an issue. However, in cases where liability is disputed, additional evidence may be required if there are no witnesses who can provide an independent account of what happened. Without a witness, it may simply be a case of one driver’s word against the other. Without evidence to prove which driver was at fault, the insurers of the vehicles involved will often suggest that each driver share a part of the blame, often on a 50 -50 basis. And for the innocent party, this can feel very frustrating. A dash-cam is a small video camera that attaches to the front windscreen of your car and records the sights and sounds of the road ahead when driving. They can also record a vehicle’s speed and location and can quickly establish the circumstances if you are unfortunate enough to be involved in an accident. The use of in-car dash-cams is growing - according to the RAC, nearly three million motorists are now recording their journeys with dash-cams. It’s not difficult to see why; not only can they offer valuable assistance in providing evidence to establish the cause of an accident, but they can be used to prove that a driver was not using a mobile phone while driving. Due to this, dash-cams are now playing a bigger part in road accident claims and can offer valuable assistance in providing evidence to establish the cause of the accident. In ‘hit and run’ type collisions a dash-cam could capture images of the vehicle at fault. In disputed accidents, what better evidence is there than a video of the collision itself? Some car insurers are now offering discounted premiums for installing a dash-cam to your vehicle and insurers are increasingly asking this of their customers when applying for insurance. Dash-cams offer protection to drivers against fraudulent claims that are often referred to as ’crash for cash’ situations, e.g. a driver deliberately braking harshly to cause an accident where the presumption is that if someone goes into the back of the vehicle in front they will be to blame for the accident. Can dash-cam footage help to prove a car accident claim? We’ve all heard the saying ‘the camera doesn’t lie.’. In this digital age that is no longer strictly true, but dash-cam footage can often assist with an accident claim. Video footage which captures a road accident, either from the one of the vehicles involved or from a witness vehicle, could very well be the evidence that helps solicitors, insurers and the police to establish liability in road accident claims. What should I do if I’ve recorded an accident with a dash-cam? If you happen to record an accident involving other vehicles you should offer your details to the other drivers at the scene and consider uploading the footage to a police portal after the event. If you are involved in a car accident you should always check and retain any footage captured by your dash-cam. Your insurance company and solicitors will need to see this. 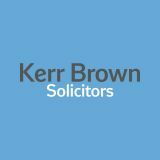 The Kerr Brown specialist car accident team have substantial experience in dealing with car accident claims and will be able to advise you on your specific circumstances. Your solicitor will ask you questions about your accident in order to assess what evidence may be available and required to support your claim. For more information on how our specialist solicitors can help you make your car accident claim, please call our friendly team on 0141 413 5902 or start your claim now. Our team of solicitors draw on decades of collective experience in courts across Scotland and strive to exceed expectations of our customers and those that we do business with. Monday, 11 March 2019 What’s it like being a trainee at Kerr Brown? 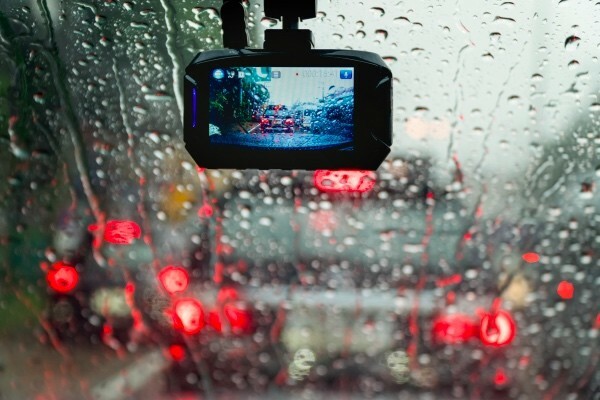 Friday, 18 January 2019 Could a dash-cam help your accident claim? Sign up to our mailing list below!